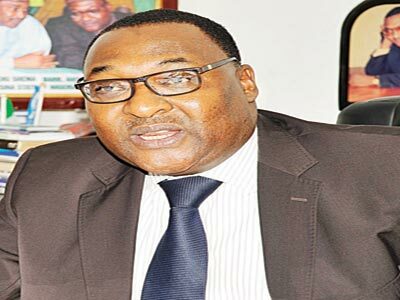 THE Executive Secretary of Nigerian Shippers Council (NSC), Hassan Bello, has challenged members of Shippers Association of Lagos State (SALS) to facilitate export of non-oil products on a sustainable basis. “The SALS have been very active. I must commend them for their doggedness and laudable ideas‎ and I hope they continue” Bello said. 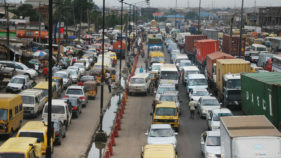 On his part, the Nigeria Customs Service (NCS) zonal coordinator in charge of Zone ‘A’, Assistant Comptroller General (ACG), Charles‎ Edike, commended the association for its contribution towards customs revenue generation.Edike said without the shippers, there would be no cargo at the port, noting that customs revenue would be affected. He explained that despite the economic down turn in the country occasioned by dwindling oil price and naira depreciation, customs revenue collection have continued to increase. Edike said: “Before now, there was a lull in importation. But, even at that the revenue is increasing. We expect that when there is no importation, revenues should fall but rather it is increasing and this is because of your good works”. 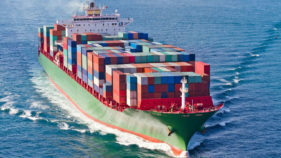 He added: “If shippers do not carry the cargo, there is nothing for customs to collect revenue from. I understand the challenges you are facing now, but don’t be afraid, match on, things may be hard today but tomorrow it will be better‎, continue and hold on. The CGC is behind you, and whatever the service you can do to make your work better we are ready to assist you,” said Edike. In his speech, the President of SALS, Reverend Jonathan Nicole said the theme of this year’s celebration “Approaching a New Dawn in the Maritime Sector,” is the beginning of the process to get rid of poverty from Nigeria’s port system. 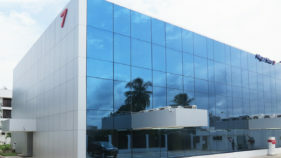 Nicole explained that the event marks the beginning of the Amalgamation of a very viral Maritime Institution, which according to him will eventually metamorphose into the Federation of Shippers’ Association in Nigeria (FONSA). ‎Nicole urged the Federal Government of Nigeria to extend some leverage to the operators in the Maritime Sector as well as to improve on existing facilities, remove the dead infrastructures and give the well tested individuals in the Sector the opportunities to help in Nation building.